Born in 1912, George Balabushka is a legend in the pool and billiards industry, arguably the Father of the modern custom pool cue as we know it. As a longtime pool enthusiast and woodworker, Mr. Balabushka is known worldwide for the pool cues that carry his name. Unlike so many of the cues that were being mass produced at the time, George Balabushka hand crafted each cue and autographed each cue he made. The level of precision and quality Balabushka put out in creating each cue made them “must haves” for pool players around the world. The world lost George Balabushka in 1974, but the cues he made and the style he originated will live on in the line of cues Hawley's Billiards is proud to display and offer below. Known as the highest quality cue, Balabushka cues represent the pinnacle of prestige in the world of pool cues and billiards. An original Balabushka pool cue is extremely rare and can only be found through collectors and auctions. Typically, an original Balabushka cue will sell in the tens of thousands of dollars. These Balabushka cues, authorized to be manufactured under the Balabushka name by his estate and heirs, continue to be in high demand by players and collectors alike. They continue to carry the high quality standards of the original Balabushka cues. While the name Balabushka has been commonplace in the pool and billiards industry for years, it wasn’t until 1986 that his name became synonymous with pool. 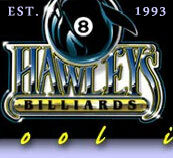 In 1986, the world was re-introduced to the world of billiards by Martin Scorsese, Paul Newman and Tom Cruise in the movie “The Color of Money”, a sequl to “The Hustler”. All it took was Tom Cruise’s character Vincent Lauria excitedly asking ï¿½Is that a Balabushka?ï¿½ for the world to take notice of the pool cues. In the spirit of George Balabushka, and his philosophy of excellence, the Balabushka Cue Company of Tempe, Arizona, promises to maintain the same level of excellence on every product manufactured under his name.